Itzchak ben Shlomo Luria (1534-1572) was born in Jerusalem to an Ashkenazi father and a Sephardi mother. His father passed away when he was still a child, forcing his mother to move back to Egypt. There, he was raised by his wealthy uncle and placed under the tutelage of Cairo’s greatest rabbis. He married at the age of 15, and continued his religious studies while also entering the business world. (Several business documents signed by his hand have been found in the famous Cairo Genizah, along with a few letters.) At 22, he was introduced to the study of Jewish mysticism and began learning the Zohar, the central text of Kabbalah. Some time later, he left his home and spent seven years meditating in a small cottage along the Nile River. Rabbi Luria would return home only on Shabbat, and spoke only in Hebrew, the holy tongue. During this time, he conceived of an entirely new system and interpretation of Kabbalah. Around 1569, he left Egypt for Tzfat, then the capital of Jewish mysticism, and home of the greatest Kabbalists of the time. Shortly after his arrival, the leader of the Tzfat Kabbalists, Rabbi Moshe Cordovero, passed away, and Rabbi Luria quickly filled the void. He was soon known as HaAri HaKodesh, “the Holy Lion”. Although he did not gain a very large following (focusing on a small group of astute disciples) and although he wrote very little himself, Rabbi Luria’s teachings would revolutionize Judaism. His students diligently recorded his teachings. His primary disciple, Rabbi Chaim Vital, together with his son Shmuel Vital, laid out the entire Lurianic system in a series of texts called the “Eight Gates”. These works describe the origins and anatomy of the cosmos as well as the dynamics of souls and spiritual forces. They provide deeper explanations for the narratives of the Torah and for the Jewish holidays, and are filled with gematria (Jewish numerology), kavvanot (meditations), and tikkunim(spiritual rectifications). Among the most famous of the treatises is Sha’ar HaGilgulim, “Gate of Reincarnations”, the standard Jewish textbook on transmigration of souls. Rabbi Luria’s teachings spread rapidly all over the world, and went on to completely transform Judaism. They would give rise to the Hasidic movement, while at the same time providing the fuel for the first sparks of Zionism. Rabbi Luria’s teachings were even translated into Latin and impacted Christian mysticism and the European Renaissance. His prayer style (Nusach haAri) became the standard for all Sephardic, Mizrachi, and Hasidic communities. 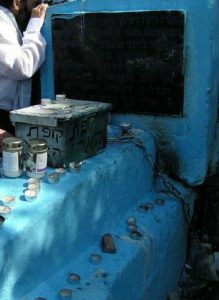 His own life was mysteriously cut short at age 38, just two years after arriving in Tzfat. He has since become more commonly known as the Arizal, “the Lion of Blessed Memory”. He was scrupulously observant, avoiding consuming meat and dairy on the same day, and immersing in a mikveh regularly, even in the cold of winter. He studied and meditated to the point of sweating, well past midnight, and was up again before sunrise. He avoided harming anything, even the tiniest of flies. The Arizal was famous for being able to peer into people’s souls. It is said he could speak to angels, and understood the speech of animals and trees. His impact on Judaism, and the world at large, is immeasurable. The Arizal’s hillula (or yahrzeit) is on Tuesday. It is incumbent for a person to take upon themselves each day the mitzvah of “love your fellow as yourself”. 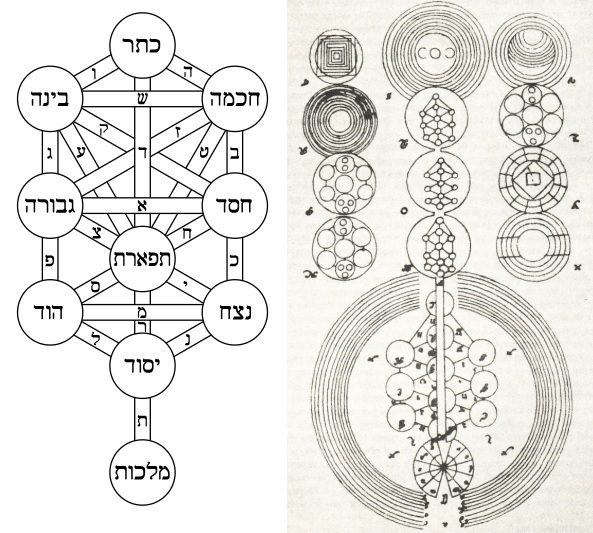 The classic Kabbalistic “Tree of Life” (left) is often associated with the Arizal. Though he did not originate the diagram, his teachings explained it in an entirely new and profound way. The diagram at right was produced by Christian Knorr von Rosenroth, who translated some of the Arizal’s teachings together with passages from the Zohar into the Latin ‘Kabbalah Denudata’, once very popular in Christian Europe. This entry was posted in Religious Leaders and tagged Angels, Arizal, Ascetic, Egypt, Gematria, Kabbalah, Kabbalist, Meditation, Mystic, Mysticism, Prayer, Reincarnation, tree of life, Tzfat, Zohar on July 12, 2018 by Jew of the Week. Eliyahu Kramer (1720-1797) Known popularly as the Vilna Gaon – the Genius from Vilnius – it is said he committed the entire Torah to memory by age 5, and by age 11 the entire Talmud. It wasn’t long before he was one of European Jewry’s greatest legal authorities. A prolific writer, he penned commentaries on the Tanakh, Talmud, Mishna and many other works (a large number of them Kabbalistic). 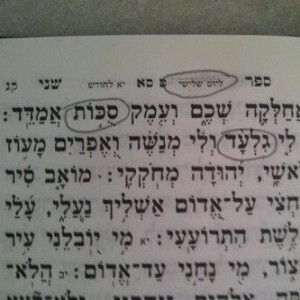 Dedicating every moment of his life to Torah learning, he generally studied secular subjects only while in the bathroom (where study of Torah is forbidden). It was there that he became an expert in astronomy and Euclidean geometry, writing (or instructing his disciple to write) a mathematical treatise called Ayin Meshulash. The Vilna Gaon led a simple, saintly, ascetic lifestyle, sleeping just 2 hours a day, usually in 4 half-hour segments. For much of his life he was a travelling nomad, though his aim was always to settle in Israel. Himself unable to accomplish this goal, at least three groups of his students and their families did succeed in making Aliyah, bringing over 500 people to Tzfat and Jerusalem long before the Zionist movement. The Vilna Gaon passed away on Tishrei 19, the 5th day of Sukkot. Psalm of the Day on the day of Gilad Schalit’s release from captivity. Incredibly, the psalm explicitly mentions Gilad’s name, as well as freedom from captivity, the holiday of Sukkot, and Tuesday. Schalit was freed on Tuesday, during the holiday of Sukkot! This entry was posted in Religious Leaders, Writers & Thinkers and tagged Aliyah, Ascetic, Astronomy, Eliyahu Kramer, Euclid, Genius, Geometry, Israel, Jerusalem, Kabbalah, Lithuanian Jews, Mathematics, Mishna, Nomad, Simchat Torah, Sleep, Sukkot, Talmud, Tanakh, Torah, Travelling Jew, Tzfat, Vilna Gaon on October 19, 2011 by Jew of the Week.